Born: July 15, 1797 in Rochester Ma. ; (aka Cowen, Cowin). Died: November 3, 1857 in Sandwich Ma. at 60 yrs, 3 mos, 18 d.
Married: March 25, 1826 in Rochester Ma. 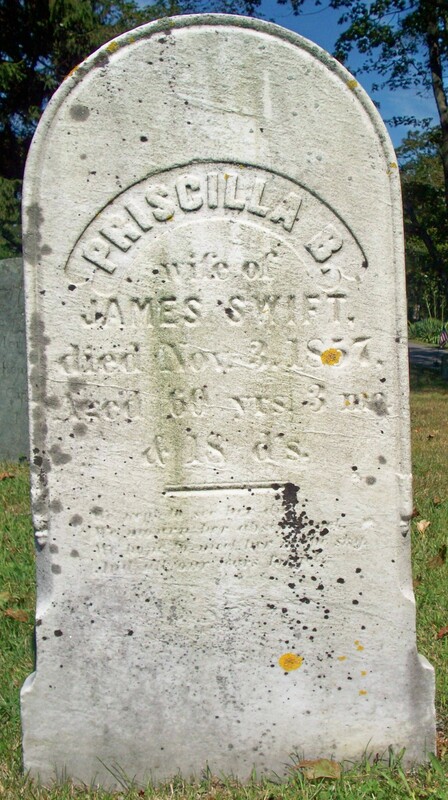 To: James Swift; (1793 – 1873) (Moses Swift, Jr. & Rebecca Nye); James married (1) Abigail Dimmick (1797 – 1824) (David Dimmick & Mercy Doane) in Sandwich Ma. on April 26, 1819. 1. Ezra Dexter Swift; (November 23, 1827 – ? ); Married Mary R. Burns (1843 – ?) (Edward Burns & Sarah S. (–)) in Sandwich Ma. on January 20, 1863; Ezra was a Mariner; He lived in Fairhaven Ma. & San Francisco Ca..
4. Moses Swift; (June 9, 1832 – November 27, 1880); Married Justina M. Baker (1840 – 1871) (Hiram Baker, Capt. & Harriet N. Lumbert) in Sandwich Ma. on July 22, 1864; Moses & Justina are buried in Cataumet Cemetery. 5. Stephen Nye Swift; (May 13, 1834 – March 22, 1900); He died in Bourne Ma. at 65 yrs, 10 mos, 10 d.; Stephen was a Farmer. 6. 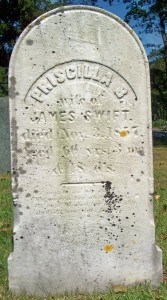 Louise Matilda Swift Smith; (May 15, 1836 – February 22, 1905); Married James B. Smith (1825 – 1899) (Jonathan Smith & Sarah A. Bates) in Sandwich Ma. 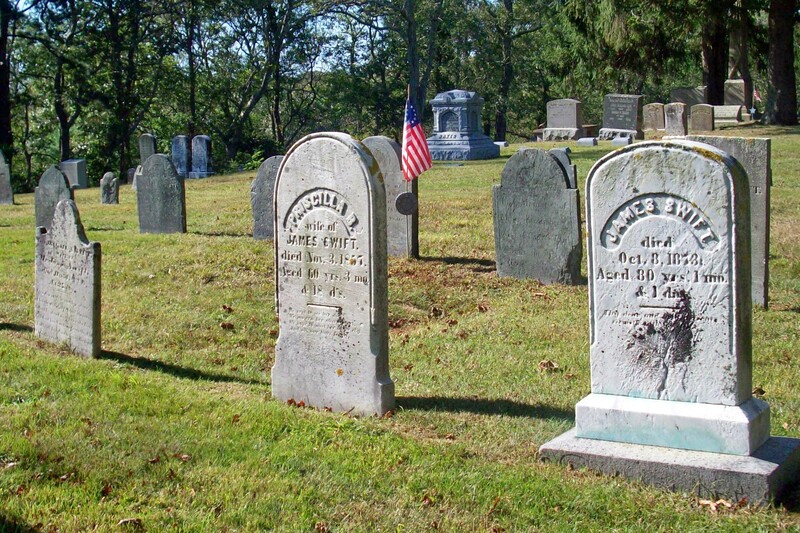 on February 26, 1856; Louise & James had 4 children & lived in New Bedford Ma. 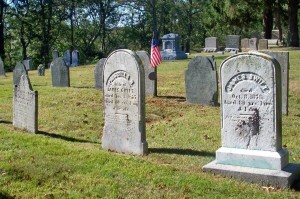 ; They are buried in Rural Cemetery in New Bedford. 7. Lorenzo Richmond Swift; (April 18, 1838 – October 31, 1874); Married Mercy W. King (1837 – 1881) (William King & Temperance Hinckley (Chadwick)) in Sandwich Ma. on December 11, 1862; Lorenzo & Mercy are buried in Cataumet Cemetery.